In order to better protect your agency's financial transactions, ASAP.gov updated its minimum computer and internet browser requirements. ASAP.gov no longer supports Transport Layer Security (TLS) 1.0 and 1.1. 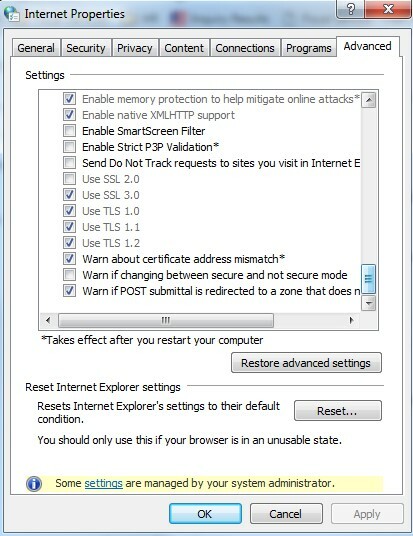 As a result, your computers need to use an operating system and internet browser that supports TLS 1.2. As outlined in the table above, organizations using Windows 7 or above must ensure their internet browsers support TLS 1.2. Computers using either a Windows XP or Vista operating system or an Internet Explorer version prior to version 8 will become unsupported. 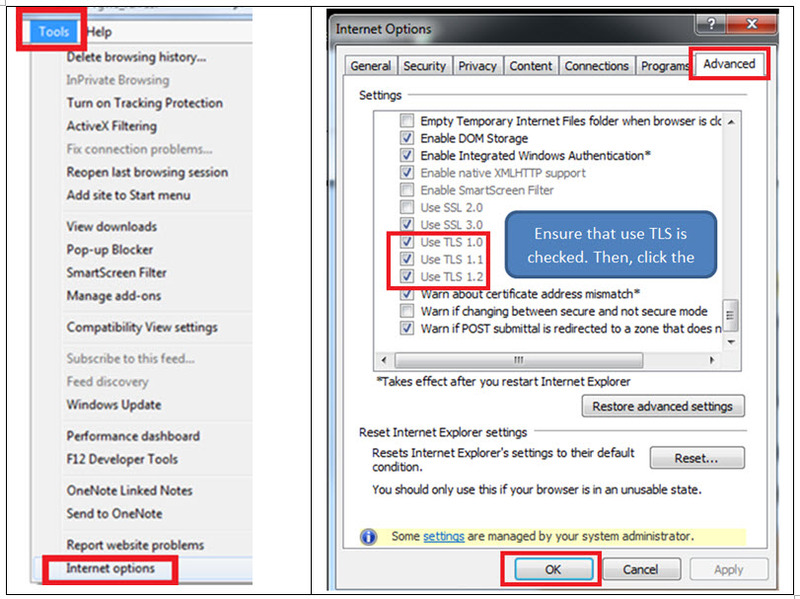 Please adjust your browser settings (or communicate this change to your IT staff) and help your recipient organizations adjust their browser settings as outlined below. Click on the [Advanced] tab. 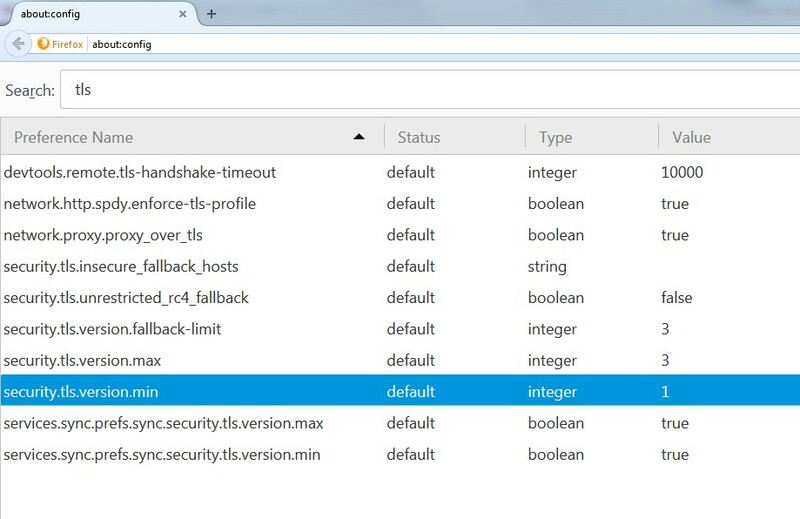 Scroll down and determine if the “Use TLS v 1.0”, “Use TLS v 1.1”, and “Use TLS v 1.2” boxes are selected. If they are not selected, select them. This ensures your browser is able to use the most secure connection for ASAP.gov. Ensure that the boxes for security.tls.version.min “Use TLS 1.0”, “Use TLS 1.1”, “Use TLS 1.2” are checked. If they are not selected, select them. This ensures your browser is able to use the most secure connection for ASAP.gov.